We all love when we find that an ancestor served in the American Civil War (1861-1865). Of course sometimes we are not even aware we have such an ancestor. So now FamilySearch.org has online a collection from the census taken of just veterans in 1890. Now not all veterans from the Civil War were still alive in 1890, many killed in the war. 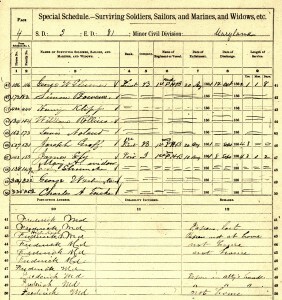 However, this schedule index of information does include the widows of veterans, so there is the link. States from Kentucky through Wyoming are included in this collection by FamilySearch.org. However, several Southern states such as Alabama through Kansas, there are no records in this collection. There are indexes of information on military in the Armies and included is the U.S. Navy. 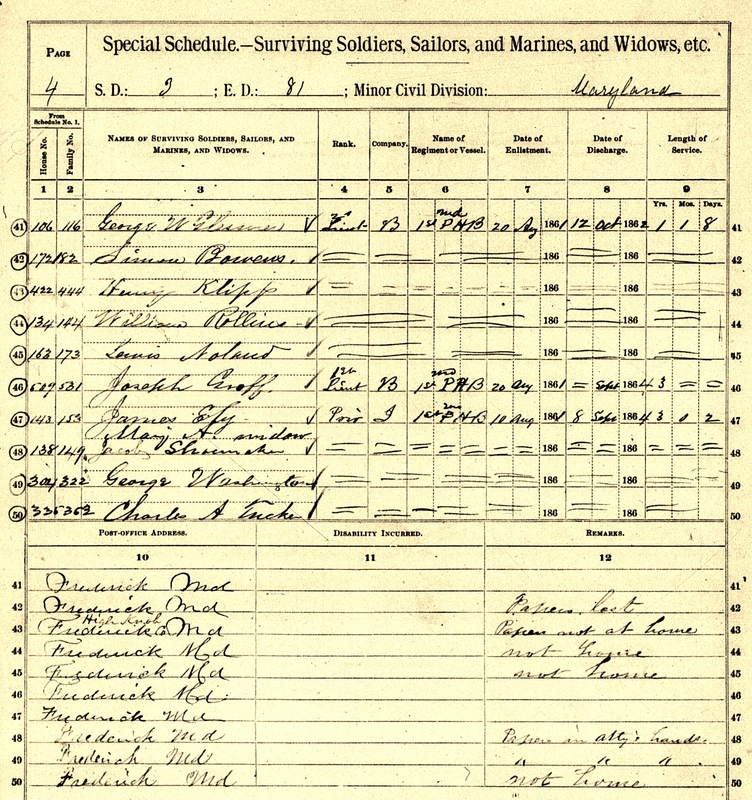 There are over 177,000 images of data from 1890 on the veterans. Place in the search boxes the given and family name, keeping in mind many may have used a middle name, plus surnames could have had different spellings. If you have an idea of what state the ancestor lived in 1890 — not when they were in the war, place that. Also veterans listed in 1890 could have served on the frontier out west during the Indian Wars that followed 1865. So if ancestor served in 1870 they may be listed. In searching sometimes is it best to just use the surname unless it is a very common name. If the given name is unusual use that instead only. Go through what names appear, there may be a place or a name spelling you overlooked. I found even putting the right name, the search actually did overlook the person I was looking for. I found it be using just the surname and going over each list. You might find the ancestor’s brother also. Once you feel you have a possible connection, review what data is first presented. Then click on the ‘View Document’ to see the image. Here will be listed the actual handwritten information done in towns of those veterans living in the location. Their name, rank, company, regiment, dates of service, town they lived in, any remarks of a disability or other comments. So do check on this source, especially since the Federal Census for 1890 of all citizens was destroyed in a fire in 1921, this is all that is available for that date.